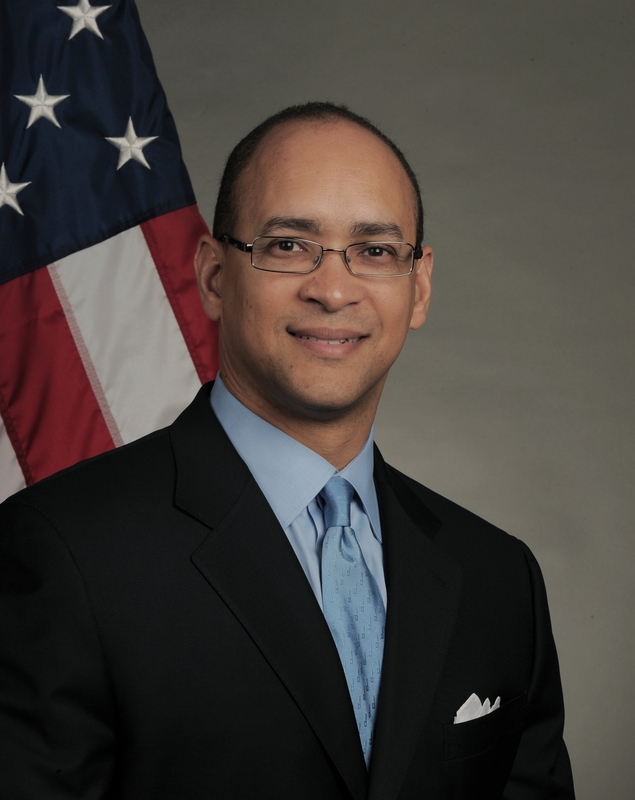 David Hinson is the National Director of the Minority Business Development Agency. As I travel around the country, I am in awe of the tenacity and the indomitable spirit of minority business owners and their unwillingness to quit in the face of overwhelming odds. That’s the spirit that makes America great. As the National Director of the Minority Business Development Agency (MBDA), I am proud to be a part of this Administration and a part of an Agency where our work helps to expand the U.S. economy and create new jobs through the historically underutilized minority business community. I have the privilege of serving on the senior staff of the Secretary of Commerce and serving as Bureau Chief of MBDA, as well as engaging with various stakeholders, members of Congress, minority-owned and operated businesses, and nonprofit organizations that support minority business development across the nation. MBDA is a national organization with more than 46 business centers in five regions, which generates nearly $4 billion in contracts and capital for minority-owned businesses. We also create thousands of jobs for all Americans and help save thousands of existing jobs. Minority-owned firms are an engine of job creation for the U.S. economy, outpacing growth within the general business community for most of the last decade. Collectively, minority-owned businesses generate $1 trillion in economic output and create nearly 6 million jobs. They also possess almost $2.5 trillion in buying power. My first introduction to business was as a child growing up in St. Louis, MO. I learned lessons about entrepreneurship from my next door neighbor who ran a small cookie distribution company from his home. He taught me about the importance of inventory and business efficiencies. While I was a dreamer, who often thought about what people were doing in other countries, my parents’ neighbors and teachers taught me that simply dreaming wasn’t enough. Making dreams come to fruition requires true grit and determination. Today, Commerce Secretary Gary Locke announced the appointment of 25 members to the new National Advisory Council for Minority Business Enterprises. The advisory council will be led by the Commerce Department’s Minority Business Development Agency (MBDA) and provide advice and recommendations to the department and the administration on a broad range of policy issues affecting the minority business community. The new council is the first to focus on promoting minority businesses since around 1969, when President Nixon established MBDA – formerly the Office of Minority Business Enterprise – and an advisory council to oversee and advise the new office. The minority business community is an engine of economic growth and job creation. Today, there are approximately 5.8 million minority-owned firms generating $1 trillion annually and employing nearly 6 million workers. Yet, there continues to be challenges within the minority business community. Of those 5.8 million firms, only 800,000 have more than one employee and the gap in average annual revenue between minority-owned and non-minority-owned firms is significant. The Obama Administration is committed to narrowing that gap and finding ways to support and promote minority businesses. The first meeting of the new National Advisory Council for Minority Business Enterprises is planned for early 2011. The MED Week conference helps minority-owned firms grow domestically and globally through a series of educational, training and business-to-business networking events. Throughout MED Week, nearly 1,500 minority business owners, government officials and corporate representatives will hear about President Obama’s National Export Initiative and develop the skills to become export-ready. They will also have the chance to participate in sessions on opportunities for minority-owned firms in federal contracting and Haiti reconstruction, among others. The week will wrap up with an awards gala to honor excellence in minority-owned firms. MBDA and National Director David Hinson will welcome several speakers to this week’s conference, including: U.S. Commerce Secretary Gary Locke, Administrator of the Small Business Administration Karen G. Mills, U.S. Deputy Commerce Secretary Dennis Hightower, Under Secretary of Commerce for International Trade Francisco Sánchez, Under Secretary of Commerce for Intellectual Property and Director of the U.S. Patent and Trademark Office David Kappos, and Assistant Secretary of Commerce for Economic Development John Fernandez.